Inequalities are mathematical statements, which can be either true or false. \(A\) is greater than \(B\). \(A\) is less than \(B\). \(A\) is greater than or equal to \(B\). \(A\) is less than or equal to \(B\). \(A > B \) : \(A\) is greater than \(B\). \(A < B \) : \(A\) is less than \(B\). \(A \geq B \) : \(A\) is greater than or equal to \(B\). \(A \leq B \) : \(A\) is less than or equal to \(B\). State whether each of the following statements is true or false. Complete either of the following with nothing but one of the four symbols \(>\), \(< \), \(\geq \) or \(\leq \) to make each statement true. Note: each of these has two possible solutions, write each of the two possible solutions. 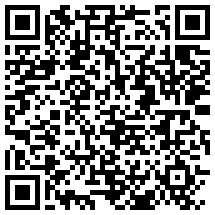 Scan this QR-Code with your phone/tablet and view this page on your preferred device. Subscribe Now and view all of our playlists & tutorials.